ENW Series Turbo type bead mill is suitable for High efficiency Ultra-Fine Industrial Continuous production. 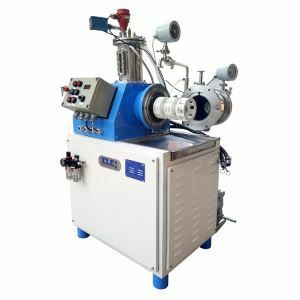 ENW series are the international top wet grinding machine, the optimization design of its accelerated wheels will pass more powerful energy to the grinding medium in chamber. Meanwhile grinding medium distribute more uniform and with more narrow fineness distribution.